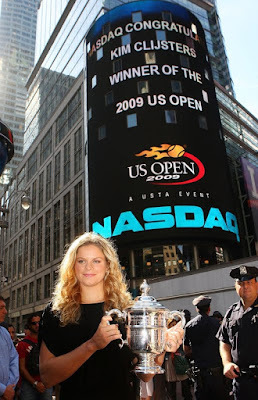 Kim Clijsters who reigns again as the US Open champion was in Times Square yesterday posing with her US Open trophy for the photographers. Her husband Brian Lynch and their daughter, Jada were also there. 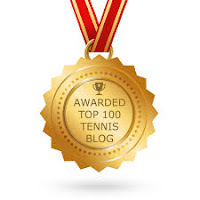 Little Jada started crying when Clijsters gave her to a member of her entourage so that she could do a television interview.